Young Gage Born and Raised in the Rugged city of Lagos Nigeria. Apapa to be precise, on the 08 of Feb. Made his way out of the country to escape poverty Due to bad Governance and corruptions. Now Eu Based Representing Naija in the Diaspora. 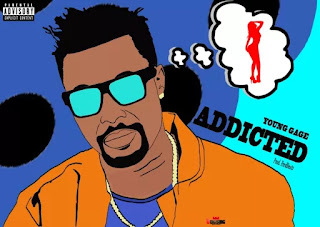 Drops this Banging New Single Tittled ADDICTED. Download, Share, Listen and Enjoy.